We have always been looking at pollution in our point of view. Let’s now try to look at it in the point of view of nature. Sulphur is a part of nature and so is Oxygen. But Sulphur di-oxide is considered harmful to nature while it is also very much a part of it. Nature merely changes from one form to another. Some forms of nature are harmful to us but the amazing fact is, we have created these forms ourselves! Maybe nature is trying to maintain an equilibrium through pollution. I am refering to the fact that mosquitoes thrive in stagnant water. Pigs and rats enjoy wallowing in slime. Polluted water creates a favourable environment for innumerable number of micro-organisms, which we consider harmful but are very much a part of nature. Maybe nature wants to allow all the species beholding it to enjoy its beauty equally. After all we are co-existing with above said species. Or worse, has nature chosen us for extinction? May be that’s a part of our destiny. But we cannot do much about that anyway. Now, let us look at pollution in our point of view. Applying the principle that every coin has two sides, we are aware of the positive side of science and also its negative side. Pollution is one of them. We know the negative side of pollution. Does it have a positive side? The very concept of positive and negative are vague in the sense that they cannot be defined in absolute terms simply because they are relative quantities. They just cannot exist individually. Don’t we feel comfortable adhering to set patterns and in the process, polluting? Why else would we continue to use plastic covers and such things? Don’t we actually save a lot of money because of pollution? Why else don’t we treat chemicals before releasing them in to water sources? Don’t we see a future in pollution? Assume that we keep polluting at our present rate. In the near future, the situation would get so worse that we will be forced to control pollution. We would then have to make huge investments in harnessing the technologies needed for controlling pollution. This in turn would encourage a lot of investments and industries on pollution control and that in turn would encourage Universities to offer new courses on pollution control. In short, we can visualize a huge economic boom due to the large amount of money transfer involved, and all this because of pollution. The question is, could we afford the situation to get so worse? May be we might just lose much more than we stand to gain? Would we like our breakfast to be replaced by some high energy life sustaining tablets simply because we can no longer grow crops? Would we want our younger generation to visit a ‘Virtual reality based highly life like’ forest in which they could see and listen to different animals simply because they no longer exist? I don’t claim that the damage would be so huge, but it might be in comparable levels. We once believed in religion and kingdom. But we no longer do. We once believed in imperialism and caste system, but we no longer do. Commercialization, is by and large our biggest hurdle in fighting pollution. Why else is a simple law like ‘Emission control’ not been effectively implemented in a few countries? What we need to do now is to transform our biggest hurdle in to our biggest strength. If the economic boom due to the pollution control which I was describing before, could be created right now, why should we wait for the situation to get worse? If necessity, desperation, need and money are the factors which will make people change, we will bring them in an indirect way. Everyone knows that renewable sources of energy and other pollution resistant technologies are going to be the future. The companies which bring them to the market earlier will have a majority market share. So, we will need to create a healthy competition which would encourage huge investments in to research and development of renewable sources of energy (Both from the Government and institutions), which would make the pollution resistant technologies commercially viable and more efficient than the non-renewable sources of energy. We will have to make the best talent available with us to work exclusively on the above quest immediately. Remember, we have no dearth of talent – they are just used in the wrong places. No force, no law, no act and definitely no resolution will make people change. We will have to bring ideal solutions through more practical means. Warning: If you have come through the search engines, looking for an essay on pollution, you will have to exercise discretion while copying any part of this article as it is highly inflammable. I mean, your teachers eyes might go up in flames! Of course, I don’t have any problems with people copying my work. But no one does 😦 – LOL. You can read similar articles in the Concepts and Ideas section of this blog. This is a musical Tag. Last time, we did the Slow Melodious and Soulful Songs. This time, we will do Fast Furious and Danceable Songs. Anyone who is tagged needs to mention their top five favourite songs (minimum) in their blog (Or you can also do the tag by listing the songs in this comments section, if you don’t want to do a post on this topic). But all the five songs need to be of a certain genre – this time the songs need to be Fast, Furious and Danceable. The songs can be in any language, and it is recommended that they be in multiple languages. You don’t have to link to all the songs if you don’t want to – just mention the album/song and we’ll google or youtube it. All the bloggers who were awarded in my previous post are tagged, and in addition to that I am tagging a few more people – I will let you know in your comments section. The idea of doing a tag like this is to identify the best song in this genre and since there are so many songs in the internet, it is impossible for searching the best ones among them. That’s why a little collaboration among music loving bloggers would help us identify the best songs, often the ones that we have never heard before! So, if you have listened to a song and wanted to dance (or at least thought it was danceable), just do this tag and let everyone know. Like last time (Best of Slow, Melodious, Soulful songs and Top Slow Melodious and Soulful songs), I would be listing down my favourite 20 songs in a countdown format among all the recommended songs. So, please leave a comment in this post after you finish doing the tag, so that I can include your songs as well, in that list. And I will also link your post from here, so it will be easier for others to access them. PS: You can list songs that are Fast, Furious (OR) Danceable – ‘And’ looks better in the title, that’s why I used it! You can find similar articles in the Music/Photo section of this blog. MSR has done this tag in Tamil. Since I was familiar with the songs listed after 1988, I listened to the older songs. My favourites are: ‘Yengeyum Yeppodhum’, ‘Kalam Kalamaga Vazhum’, ‘Yogi B madai thirandhu’ (This is a newer remix of the old song, fantastically done). Radha has done this tag in multiple languages. There is even a Bhajan! ‘Livin a vida Loca’ is a brilliant song. I almost forgot that one! The ‘os tribalistas’ song is also good. Nita has done this tag in the comments section in multiple languages. My favourites are ‘Whenever whereever’, Grease Lightning and Dhoom-1 title song. Den Relojo has recommended one song in the comments section – ‘Nobody but you’ – quite nice. Matthew has done this tag in the comments section. My favourites are Der Kommissar, Poovukkena Poottu, Veerapandi songs. Kiran has suggested the Macarena song. I almost forgot that one! Very nice song, the link is there in the comments section. Swaram has done this tag in Hindi. I liked the Mera piya ghar aaya (madhuri), bolo tararara (daler mehendi), piya tu aab aaja, jooth bole kaawa kaate among others. Sandhya has done this tag in Tamil and Hindi and I like all the songs – they are quite a different selection! HitchWriter has done this tag in Hindi. Wortman has done this tag in English. Interesting selection – never heard these songs before. Try listening to them! IHM has done this tag mostly in English and I liked Boom Boom (Vengaboys), Scattman John, Alice songs. Ashwathy has done this tag in Hindi/English and I liked Mauja hi Mauja, Kaaka kaaka and Fast and Furious (Tokyo drift) songs. Reema has done this song in English/Hindi and my favourites are Didi, Chaiya Chaiya and Yeh mera dil pyar ka deewana songs. Priya Iyer has done this tag in multiple languages… Actually there are so many songs, so will listen to them and list favourites. Kanagu has done this tag in Tamil and I liked Engeyum Eppodhum (Remix), Azhagiya Laila, Rakkamma kaiya thattu songs. Vimal has done this tag in Tamil, Hindi, Malayalam and Telugu. I liked Aaj ki raat, koi kahe kehta rahe, gilli songs. Reality, is sometimes not very real. It’s just too easy to be in the good books of others: Just say ‘yes’ and keep listening to them. Nobody actually bothers to check what they say. Both factual accuracies and logical accuracies. They just say what comes to their mind at that instant and expect that to get into Vedas! And the very next day, they say something totally different and still expect you to agree to it. Sometimes you agree because you yourself don’t know anything about the subject being discussed or you think by agreeing, the conversation might end faster! Especially when you are talking to your spouse, boss, parents, relatives, customers, vendors, colleagues – you get the drift – everybody. You can’t really disagree to that. Unless you consider the sub-prime crisis, or the inflated land values based on perceptions. But then he continues. That’s the way a relationship develops. Even better, if you take the number of the broker and buy a land very next to his land. Both of you become close relations and bonded for eternity! It was at this point that I was introduced to Blogs. I found this medium to be an excellent way of escaping reality – It has become an alternate reality today and I am thankful to all my fellow bloggers who have not only been patient with some of my posts (Like Theory of beauty, for example!) but have also encouraged me, educated me, argued with me in this blog as well as their blogs. And some have also awarded me! So, I am passing on the awards. 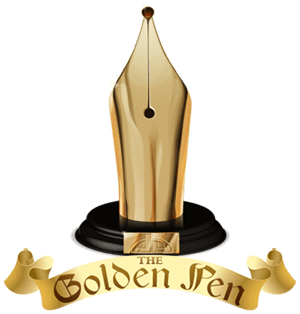 I am passing the golden pan award to the following bloggers: Nita, Poonam, Raj, Axinia, Atanu Dey, One Blue Sky, Dhiren, Ketan, Vikram (An academic view of India), Chrysalis, Maami, Jabberwock. 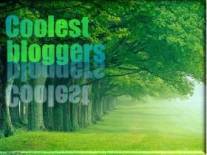 I am passing the coolest bloggers award to Vishesh, Indrani, Sandhya (Maradhi Manni), Ashwathy, Vimmuuu, MSR, Oorja, Solilo, Rambler, Kokonad, Jarvarm, Achupichu (Ambi), Uniquely Priya, Smitha, 18,000 RPM, Lightning Strikes Everyday, Meditation Photography. 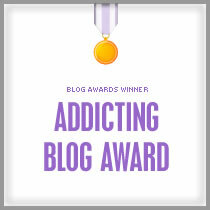 I am passing the Addicting blog award to Amit (Mashed Musings), Indeyah, Kanagu, Rakesh Vanamali, IHM, Sakhi, Sahaja, Nimmy, Mathew, Reema, Brownphantom, Kislay, Heartcrossings, Ces’t La Vie, Doing Jalsa and Showing Jilpa, A common Man. One small request: Disagree and contest more in the comments section, as all of you unanimously did with the Theory of Beauty post 🙂 .And yes, wishing you a Responsible and Happy Independance day. Alien: We have abducted you. You are now on-board in our space ship. Man: Oh no, is it a dream? Alien: Pinch yourself and test. Man: It’s not, well I am going to be a huge star on earth, after this… WoW. Man: Interview? Already? Why not? Will you be broadcasting this in your TV? Alien: No. It is a part of our understanding of your activities on earth. Alien: Wait. We would love to know about all that, thanks for those leads. But let us know this: Why did you invent the wheel? Man: Ha, what a silly question! Wheel is a very symbolic invention of ours. In a way, it could be termed as our first scientific invention. It was the wheel which led to the invention of so many tools later on. We invented the bulb, we invented telephone, we invented train, we invented aeroplane, we invented the computer and everything else. Man: They are all tools to make things easier for us. They enable us to save time. They do a lot of what we are supposed to do. Alien: That means, you work for less hours now, when compared to the earlier times? Alien: Or, your work has become easier than before? Alien: You don’t do anything any more and the computers do everything for you? Man: See, you are taking things in the literal sense. What I meant was, we have progressed as a society. We have developed more intelligence. Perhaps a day will come when the robots, which we are trying to make today would do all the work for us, and we no longer need to work at all. Alien: So that is your motivation. You don’t want to work at all. Alien: Because, the Robots which you are inventing today, might get hold of your nuclear weapons one day in future. Man: I never told you about nuclear weapons. How come you know about them? Alien: I know more than what you think, I know. I am not an alien. I am a human being from the future. One of the few humans hiding in Mars because the robots have taken over both the planet and the nuclear weapons. And humans are no longer able to live on earth because of nuclear dust and unbearable pollution. You know what caused all this? That one invention – wheel. We were trying to go back to pre-historic times to stop that invention, hoping that humans will at least live in harmony with nature after that, but by some mistake we came to your time! We are not in harmony with nature because of greed, not because of Science. We were greedy in the past, we are more greedy now and we will be even more greedy in future. Think about it!! You can read similar stories in the Short Stories section of this blog. In this music album of theirs, “Ich will” which means “I want”, they act as a music band that wants publicity by robbing a bank. In the words of their makers – “The media accompany the band (after the bank robbery incident) and the band has ultimate success. The band has also lost everything and gone to jail but that’s a small sacrifice for their publicity”! Spot on. They make fun (mock) of the media and the attitude of the people towards media, both. In fact, in the video, at least in two places they communicate this message: In one scene, the members of the music band die by the flash of the cameras (they make it look like dying after being hit by a bullet, by falling down) clearly mocking the media and in another scene, when the group comes out of the bank, the media rush towards them to take photos and videos close up, even though all the police are behind holding their guns carefully and cautiously! I wanted to upload the version of this song with English subtitles, but then decided that the video conveys more than the words and reading the subtitles actually distracts observing the minute details. Their take on Amerika in another video is quite funny. If you want, you can click here to view the youtube video. You could visit the Music/Photo section of this blog for similar articles. You are currently browsing the Destination Infinity blog archives for August, 2009.